Tyrese Tamil Davis, 17, Killed in Winston-Salem Apartment Shooting; Was This Tragedy Preventable? Could this tragic Winston-Salem apartment shooting have been prevented and are justice and compensation available to Mr. Davis’ family? Security measures are under scrutiny after a Winston-Salem apartment complex shooting claimed the life of 17-year-old Tyrese Tamil Davis Wednesday evening, November 7, 2018. 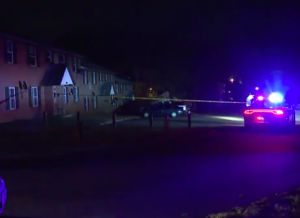 According to FOX 8, the shooting occurred “at the Cambridge Apartments complex on West 23rd Street,” shortly before 8 p.m. The young victim, a Mount Tabor High School student, was transported to the hospital, where he tragically succumbed to his injuries. Police told the Winston-Salem Journal, this “was not a drive by shooting” and “there are witnesses who have yet to come forward.” As police continue to search for suspects, another party’s role in this grievous loss comes into question. What security measures, such as gated-entry, fencing, bright lighting, monitored surveillance cameras, and security patrols were in place to deter crime and protect Tyrese Davis at the time of the shooting? Generally, property owners are required to protect all those legally on the premises from any foreseeable harm. Should the facts of this matter reveal that the apartment complex owner or management failed to provide adequate security to protect those on its premises, Tyrese Tamil Davis’ family may seek justice and elect to pursue legal claims for his wrongful death.